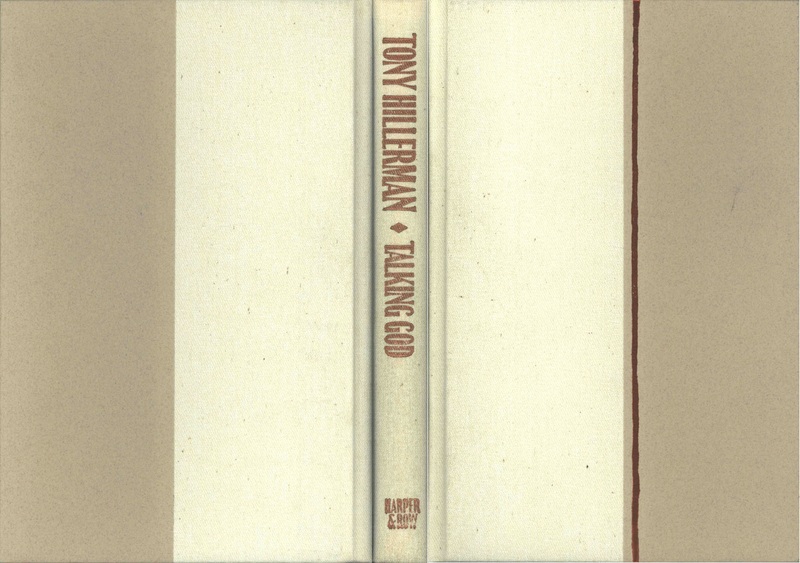 This is the full and detailed views of the limited first edition slip case and book cover for Talking God, the ninth book in Tony Hillerman's Navajo Mystery Series. 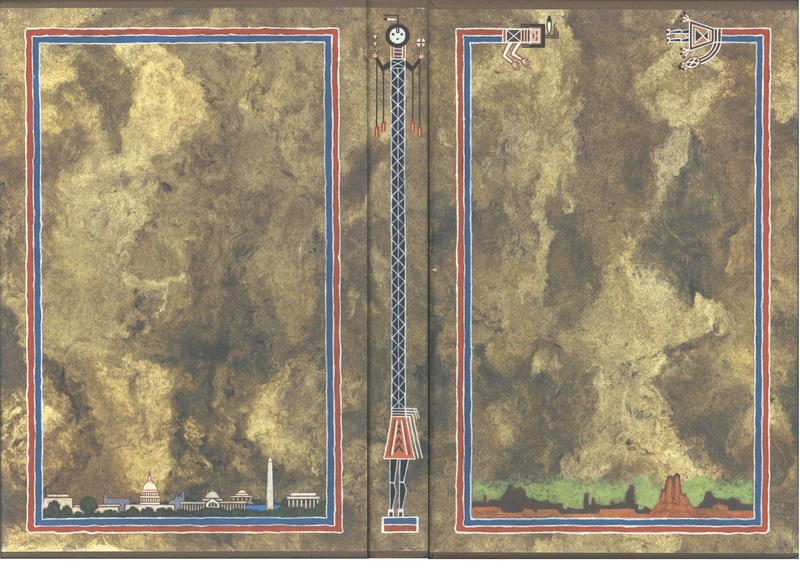 The slipcase was designed by Peter Thorpe and features a Navajo country scene of sandstone formations enclosed by the pictorial representation of Rainbow God on the front, a Washington D.C. scene enclosed by a red and blue border on the back and a picture of a Navajo yei figure on the spine. The book cover consists of light brown boards and a white cloth covered spine with a vertical metallic copper line on the the front cover. The spine is also lettered in metallic copper print.